The Progressive Gazette: Is Human Rights Watch Manipulating Facts about Syria? Is Human Rights Watch Manipulating Facts about Syria? Editor’s note: Human Rights Watch is a globalist NGO that has taken $100 million from George Soros. 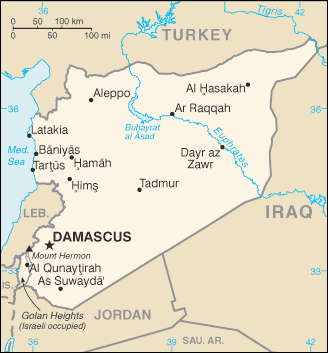 On 21 August 2013 a series of chemical attacks were perpetrated in the Ghouta suburbs of eastern Damascus. Sources say that between 281 and 1,729 civilians were killed, while Medcins Sans Frontiers reported around 3,600 were injured in the attacks. On the same day UN Secretary-General Ban Ki-moon instructed the UN Mission already in Syria to investigate allegations of chemical weapons use in Khan al-Asal, Sheik Maqsoos and Saraqueb to focus their efforts on the Ghouta allegations. Before the UN Mission had reported its preliminary findings Human Rights Watch (HRW) jumped the gun on 10 September with its own report written by Peter Bouckaert, the organization’s Emergencies Director. The report admits that HRW did not have physical access to the site and had based its study on Skype interviews with ‘More than 10 witnesses and survivors’ made over a period of two weeks between 22 August and 6 September. These were supplemented by video and photo footage and other data from an unnamed source or sources. It is unclear then, exactly how many exposed survivors were interviewed by HRW or who the other witnesses were.